The Isle of Youth (formerly Isle of Pines) is the second largest in the Cuban archipelago, with an area of ​​2,419 sq. km. and over 600 smaller keys and islets, forming Canarreos Archipelago, in southwestern Cuba. It is located along the Gulf of Batabanó, approximately 60 km. from mainland Cuba and 142 km. from the city of Havana. It has a population of around 87,000 inhabitants. Economic activities are largely based on agriculture (primarily citrus fruit), marble quarrying, fishing and both utilitarian and artistic ceramics. Its main attractions are the International Diving Center at Hotel Colony and Cayo Largo del Sur, where family vacation adventures are a must and eco-friendly travel is the norm. The Isle of Youth is also a special municipality of the nation since 1976. 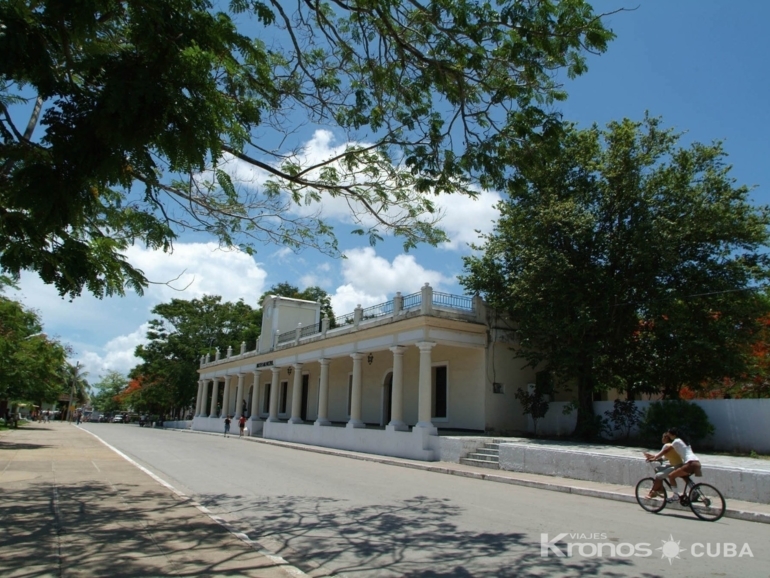 Its main settlements are Nueva Gerona, the capital city and seat of government, Santa Fe and La Demajagua.